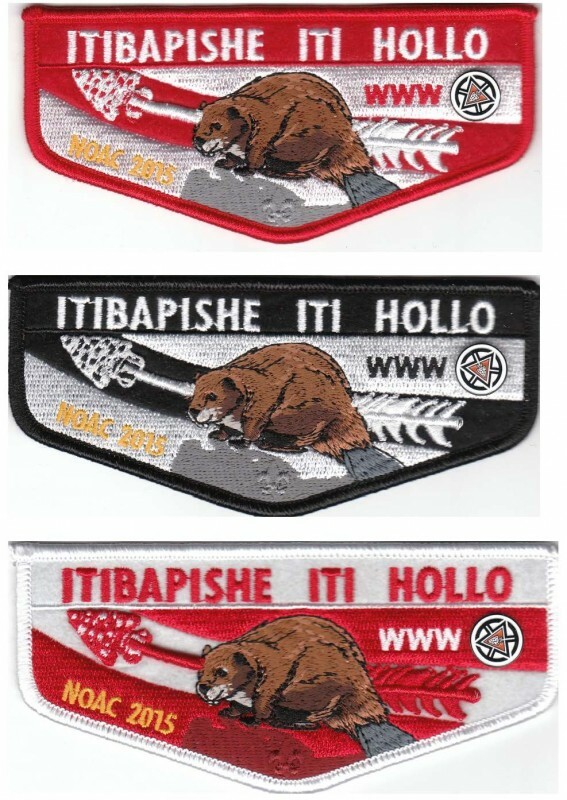 Itibapishe Iti Hollo (188) recently released its 2015 NOAC fundraiser set. The set is a three patch set of puff embroidery over felt with the 100th OA Anniversary logo as a riveted metal piece. Borders are Red, Black, and White and have been assigned OA Image designations of F6 (Red), F7 (Black), and F8 (White). 300 sets were made and are available for purchase from the lodge. Sets are only sold as a set and are available for $20/set. Postage is included for the first set. Postage for each additional set is $1/set up to the price of a USPS flat rate box. Available while supplies last, and only sold as a three patch set. Anyone interested can send an order to P.O. Box 482, Concord, NC 28026. Just wanted to be assured that I sent out a payment of $20 for a set of NOAC fundraiser flaps and hopefully can be set aside. Thank you!